Allstar Enterprises is a charity consignment company helping 501(C)(3)'s, schools, churches and other organizations raise money at charitable events. We have a large collection of hand signed and authentic sports, entertainment and music memorabilia! We can assist you with online & silent auctions. 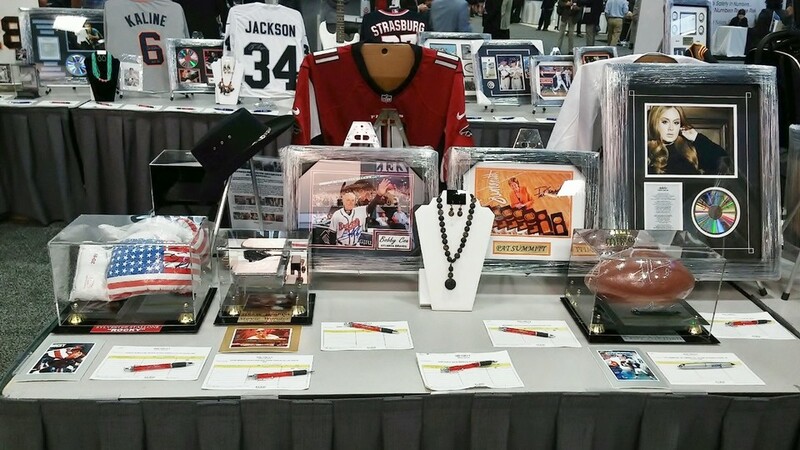 Check out our memorabilia section to see what we offer in sports, music & entertainment! Please keep in mind that all prices on our website are for Charities ONLY. We do NOT sell to the General Public. If you are a 501c3 or charitable foundation, please contact us if you have any questions. If you are a collector who is admiring our items, THANK YOU, but we are not open for personal sales (however we do feature a MONTHLY BLOWOUT SALE under our Store page that is open to anyone). Please email us with any questions or requests!